Treon's Realm: Free Gold N' Fly (Goldeneye N64) Soundtrack! 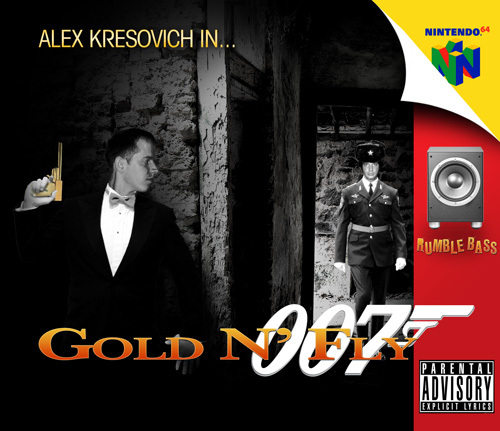 Free Gold N' Fly (Goldeneye N64) Soundtrack! When you think of the N64 classic Goldeneye, rap music is not the first thing that springs to mind but your in for a surprise when you listen to Gold N' Fly. 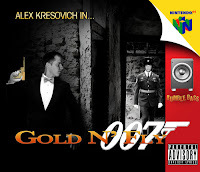 Hip-hop music producer Alex Kresovich has taken the soundtrack from Goldeneye for the N64 and mixed them with a variety of famous rap songs from artists such as T.I., Wu-Tang Clan and Busta Rymes. It's impressive and serves to introduce gamers to a form of music they may not be familiar with. I would highly recommend a download and I'm sure you'll find at least a couple songs to enjoy. Download Gold N' Fly Now!